Being a close relative of garlic doesn’t make chives redundant. Oh well, the benefits could be similar. But how you can use chives is what determines everything. No, we are not going to tell everything here. Read and find out for yourself. What Is The History Of Chives? What Is The Nutritional Profile Of Chives? Any Popular Recipes Using Chives? Any Fun Facts About Chives? What Are The Side Effects Of Chives? Scientifically termed as Allium schoenoprasum, chives belong to the same family as garlic, shallot, scallion, and Chinese onion. They are perennial plants and are predominantly found across several parts of Europe, Asia, and North America. They are a commonly used herb and can be found in most grocery stores. And the plant offers a huge amount of nectar for pollinators. Chives also serve as an attractive garnish for various dishes, including salads, baked potatoes, etc. Chives come in two types – onion chives (the common chives) and Chinese chives (also called garlic chives). While onion chives have hollow leaves, garlic chives have flat leaves. Knowing about something would be incomplete without knowing its history – so here you go. The Romans believed that this herb could relieve pain from sunburn and sore throat. They also believed that chives could act as a diuretic. The 19th century Dutch farmers fed chives to their cattle to give a different taste to milk. The nutritional profile of chives is what you would want to look at next. Chives ( Allium schoenoprasum L.), Nutrient value per 100g. Chives can be a healthy alternative to other flavorings as they are low in calories. A quarter cup of chives offers just 4 calories. It does not contain sodium, and each serving of chives provides only one-tenth of a gram of fat. Chives contain an abundant amount of vitamin A in the form of beta-carotene. During digestion, this beta-carotene is split into two vitamin A molecules by the enzymes. A quarter cup serving of chives provides 522 International Units or IU of vitamin A. This is about 17% of the recommended intake of 3000 IU for men and 22% of the recommended intake of 2333 IU for women. A quarter cup serving of chives provides 26 micrograms of vitamin K, which is approximately one-fifth of the daily recommended intake for men and 29% for women. This vitamin activates a number of enzymes in your body, including those required for bone mineralization and cell growth. Quercetin and vitamin K are the two primary antioxidants found in chives. 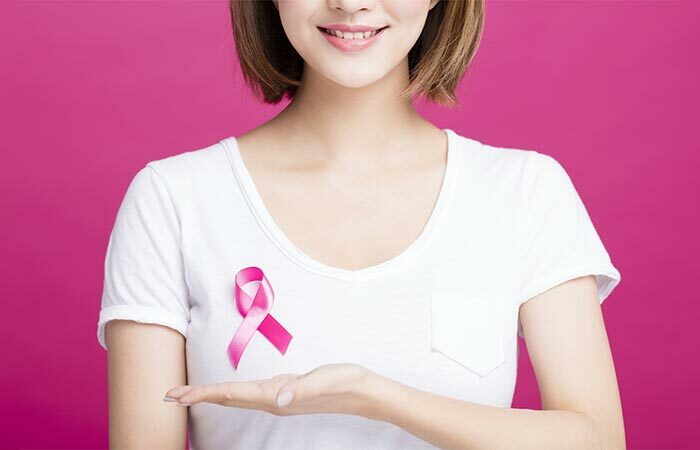 Quercetin and other flavonoids may help prevent cancers of the breast, colon, prostate, ovaries, endometrium, and lungs. In addition to these, chives also contain carotenes, zeaxanthin, and lutein, which can help protect against lung and oral cancers. All of these powerful nutrients can help you live a better life. But how? Keep reading. Chives are extremely rich in flavonoid antioxidants, which contribute to most of the benefits. These antioxidants help fight cancer, improve heart health, and can even fight inflammation. They also detoxify the body and boost skin health. And the fiber in them can help ease the digestive process. The flavonoid antioxidants we saw earlier, namely lutein and zeaxanthin, are known to protect one from lung and mouth cancers. Chives are also rich in fiber, and this helps to prevent colon cancer. And like other members of the family, chives also contain allicin, an important antioxidant known to help prevent breast cancer. Various studies have shown that allium vegetables (those containing allicin) possess inhibiting effects on the cancers of the stomach and esophagus. Chives also help your body produce glutathione, which is an agent that enables your body to identify the cancer-causing substances and eliminate them. Studies have shown that chives can help prevent prostate cancer as well (1). Numerous other studies also talk about the anti-cancer effects of chives and other members of their family (2). The allicin in chives bags the credit again. It is an organosulfur and is known to help lower cholesterol and blood pressure levels. Allicin releases nitric oxide in the bloodstream, which reduces the stiffness of the blood vessels as well as blood pressure. And the quercetin in chives reduces the build-up of plaque in the arteries. Allicin not only helps to lower the levels of bad cholesterol (LDL cholesterol) but also increases good cholesterol levels (HDL cholesterol) – which, again, is good for the heart (3). Chives contain vitamin K, a nutrient quite important for the bones. This vitamin helps maintain bone integrity and density. Vitamin K also assists the regulation of cells that aid the prevention of bone demineralization. This vitamin also supports the production of a protein called osteocalcin, which is important for maintaining bone mineral density. More importantly, sufficient intake of vitamin K can reduce the urinary excretion of calcium (which is another common cause of bone loss). Other reports also talk about how chives can contribute to bone health (4). Though more research is required, the anti-inflammatory properties of chives might also help treat arthritis. Chives help the body get rid of the harmful bacteria, yeast, and fungi in your intestinal tract that might otherwise hamper your digestion. The antibacterial properties of chives can help eliminate at least 30 strains of salmonella (which can cause intestinal distress). Chives are a great combination of fiber and other essential nutrients like niacin, thiamin, pantothenic acid, phosphorus, zinc – all of which are known to ease the digestive process. This phytochemical combination can also soothe an upset stomach. Chives might also relieve flatulence and stimulate digestion. Though there is limited research on this, certain sources say that the presence of chlorophyll and vitamin K in chives helps keep the blood clean. The minerals in chives might neutralize the toxins in the body. The numerous phytochemicals in chives can boost your immune system. Chives also contain selenium in trace amounts, which is another important mineral that strengthens immunity. Immune cells deficient in selenium can have difficulty in producing proteins and transporting calcium. Chives can also give your T-cells a boost. They also offer protection against cold and flu. However, there is limited research on this. Chives contain sulfuric compounds, which, as per research, help boost immunity (5). And this way, they also heal wounds faster. This benefit should be attributed to the lutein and zeaxanthin in chives, which reduce oxidative stress in the eyes and boost vision health. They also slow down the development of cataracts. Chives also contain quercetin, which, as per studies can help preserve vision in patients with macular degeneration (6). Chives are rich sources of folate, and we don’t have to stress the importance of folate during pregnancy. Folate helps in the brain development of the fetus – it also aids cell division and DNA synthesis. Folic acid also helps to prevent birth defects, especially in the baby’s brain and spinal cord (7). Chives are good sources of choline, which is one important nutrient that aids proper sleep. 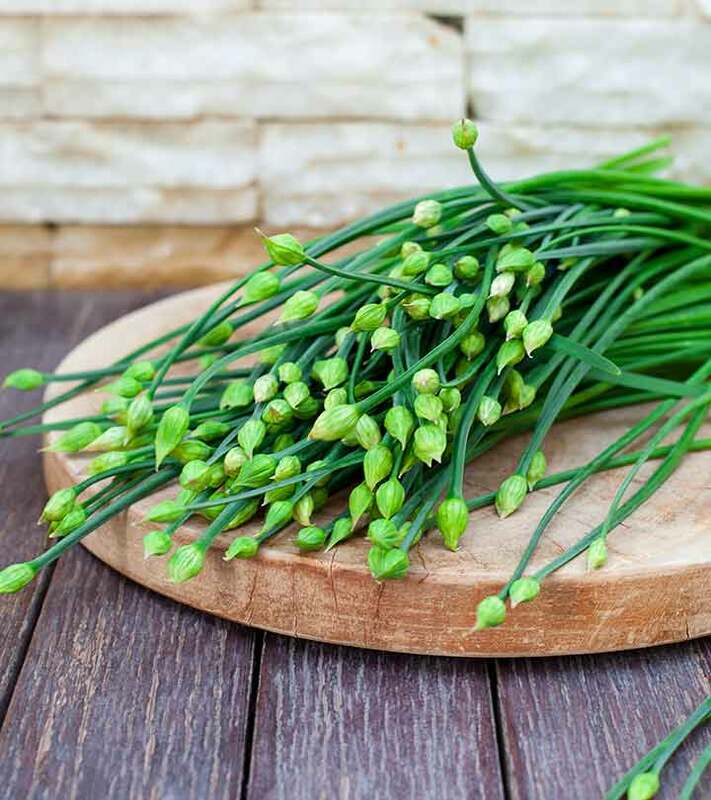 And the folic acid in chives is also known for boosting the production of dopamine and serotonin, which are feel-good hormones that boost your mood. Chives have excellent antibacterial, antiviral, antifungal, and antibiotic properties. One study talks about the antimicrobial properties of Chinese chives (8). Another study talks about how Chinese chives can have the highest antibacterial activity (9). The antibiotic properties of chives, along with the vitamin C, can destroy harmful microbes. This combination works well in treating yeast infections. Chives are a good source of beta-carotene, an antioxidant that boosts skin radiance and health. It also can help treat acne while the vitamin C possesses antioxidant properties that offer anti-aging benefits. 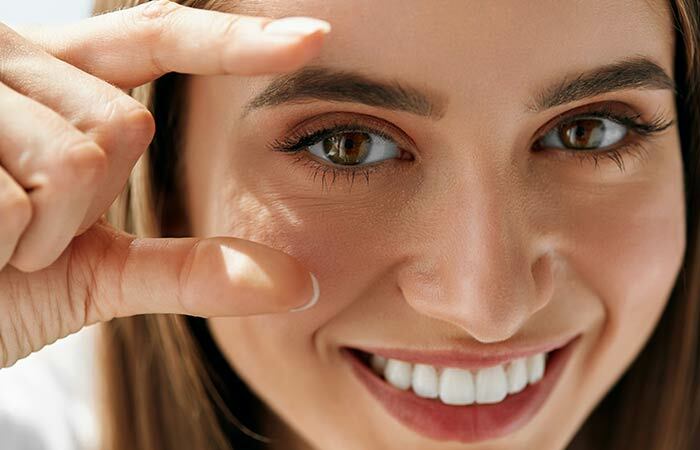 It can help reduce fine lines and wrinkles, some of the most prominent signs of aging. You can use a chive face mask for this purpose. Apply chive puree to your face and leave it on for 30 minutes. Cleanse and pat dry your face and apply a moisturizer of your choice. Though we don’t have concrete research on this, some sources say that chives can stimulate hair growth. They can increase the blood flow to the scalp and strengthen the hair roots. They might also prevent hair breakage. A chive oil hair mask can improve dull hair as well. Boil chives in water for about 30 seconds and then, cool them in cold water. Place the chives in half a cup of olive oil. Make a puree and apply to the scalp. After 30 minutes, shampoo as usual. These are the ways chives can make your life easier and better. But one must also know how to use them. You can use the leaves of chives to add some essence to butter and cheese preparations. You can also use them to flavor soups, salads, sauces, meat and egg preparations, etc. You can also use the leaves to make herbal vinegar. The flowers of the chives plant have a mild onion flavor – and can be sprinkled onto salads. You can also use chives on your breakfast toast. Add chives to fresh goat cheese and crushed red peppers. There are other ways you can use chives – by including them in your diet. Sprinkle chives over sandwiches for breakfast. Add chopped chives to mashed potatoes or omelets. Mix them with cream cheese. Add them to scrambled eggs during cooking. Add chives to plain yogurt and use it as a salad dressing. You can add chives to dishes at the end of cooking as this helps maintain their delicate flavor and texture. Well, there is another interesting way to incorporate chives into your diet. And that is, by following some superb recipes. Place the potatoes in a large saucepan. Cover them with water and bring to a boil. Cook for about 8 to 10 minutes. Drain the water and place the potatoes in a large bowl. Add the onion, celery, and chives. Toss to combine. Combine the sour cream with the next four ingredients and whisk – this is the dressing. Stir in the blue cheese crumbles. Pour the dressing over the potato mixture. Cover and chill. Spread the goat cheese liberally on all the bread slices. Arrange the watercress leaves evenly on 12 of the slices. Top each of these slices with a second slice of the bread, with the goat cheese side down. Place the chives in a small bowl. Halve each sandwich diagonally. With a small spatula, carefully spread the mayonnaise along the long side of one tea sandwich – dip this long edge into the chopped chives. Repeat this with each sandwich. These are recipes are simple but taste great. Try them out one fine evening, when you are bored but want to munch on something healthy. And yes, how about checking out some fun facts about chives? Chives are a very common seasoning in Asian cuisine. It was believed that hanging bunches of dried chives around a house could ward off disease. The violet flowers of chives are used in ornamental dry bouquets. Romanian gypsies were known for using chives as part of their fortune telling rituals. The leaves of chives can also alleviate bad breath. Yes, we know – all this stuff about chives is so good that you are beginning to wonder where to get them from. Right? A pack of fresh chives must be available in your nearest supermarket store. Or you can also get them online at Amazon or Walmart. But even before you buy chives, you need to know a few things. Pick chives that are uniformly green, crisp, and wispy. Also, there must be no shriveling or browning at the tips. Wrap unwashed chives loosely in a plastic bag and store in the refrigerator. You can preferably store them in the door, where it is relatively warmer. When they are ready to be used, you can wash and add them at the end of the cooking time of the dish to maintain their delicate texture and flavor. Hold on. Chives are great. No doubt. But do they have certain undesirable effects as well? Excess intake of chives can lead to an upset stomach. Chives seem to be safe in normal amounts, but we don’t know what might happen in larger amounts. Stay safe and stick to normal food amounts. They are simple to include in your diet and possess some wonderful benefits. So why not try ’em? Also, leave a comment in the box below. We would love to hear from you. Which part of chives do we eat? The long stalks of chives are what we usually eat. They are the primary edible parts. Chives are usually used only as a garnish while green onions are often used as a whole ingredient. 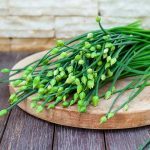 Chives vs. scallions – what’s the difference? Same as the difference between chives and green onions – because green onions and scallions are actually the same thing. The seeds need full sun. The soil needs to be moist, fertile, and rich. Plant the seeds ¼ inch deep and place them 4 to 6 inches apart in all directions. You can substitute chives with green onions or leeks. “Garlic, chives reduce prostate cancer”. WebMD. “Garlic and onions: Their cancer prevention properties”. US National Library of Medicine. “Effects of allicin on hypertension…”. US National Library of Medicine. “Discuss:Herbs”. Massachusetts Institute of Technology. 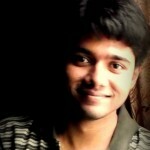 “Preserving vision in patients…”. The Scripps Research Institute. “Folic acid and pregnancy”. WedMD. “Antimicrobial effects of extracts from Chinese chive…”. US National Library of Medicine. “Chemical composition, antibacterial…”. US National Library of Medicine.